#DIDYOUKNOW This week celebrates National Animal Shelter Appreciation Week! 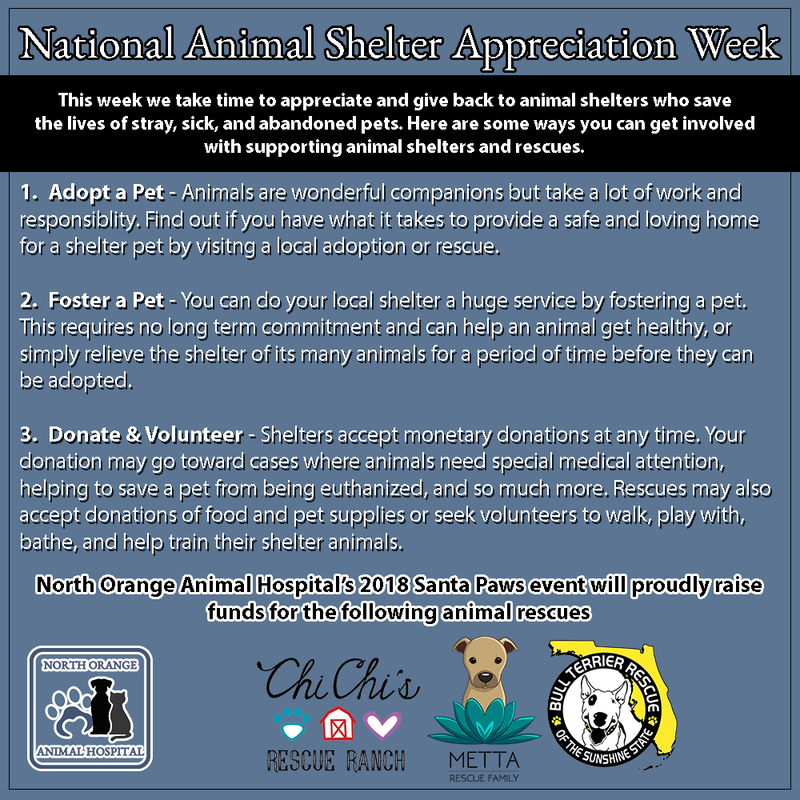 North Orange Animal Hospital works with shelters and rescues year round to provide safety and medical care for sick and abandoned pets. This week is the perfect time to recognize and research organizations in our community that dedicate time and love to saving the lives of precious pets. 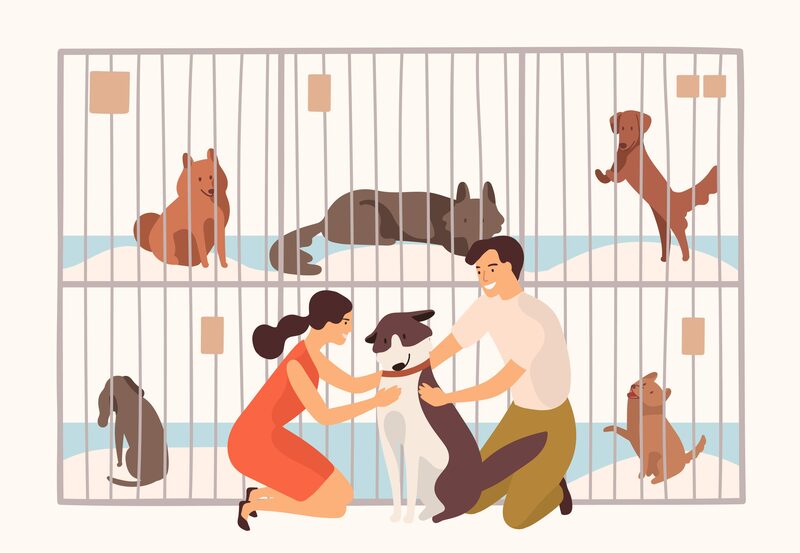 Check out this piece with some ways you can help support your local shelters, and don’t forget to join us at our 2nd Annual Santa Paws For a Cause to support 3 of our wonderful Central Florida shelters. To anyone helping our local animal community, we thank you this week and all year long!